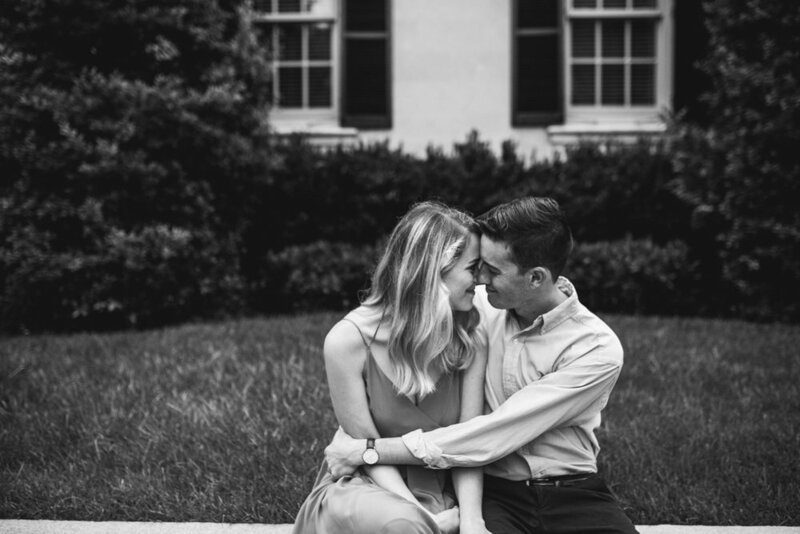 At any engagement session and on every wedding day, there are things that make it into pictures and things that will never be captured on camera. Both intertwine to form a memory and, when they're done well, the photographs are a reminder of what you can't see as much as what you can. In light of that fact, I never want to forget all the things from Troy and Jenna's engagement session that were NOT photographed - but are as unforgettable as the pictures themselves. 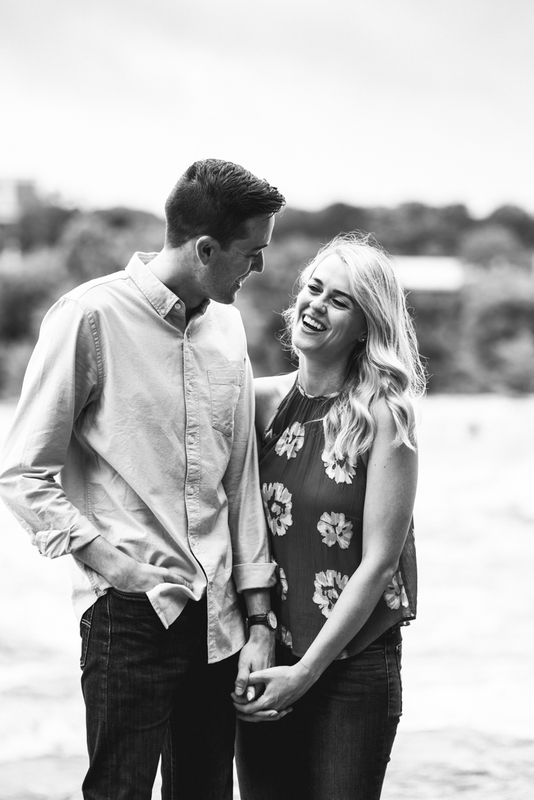 Pictured: A beautiful couple, filled with joy, savoring their engagement session. The gorgeous stormy waters of Belle Isle. A quiet Monument Avenue in the heart of Richmond. Smiles, laughter, kisses, and so much love. Not Pictured: The back-and-forth we had about whether to even have the engagement session because it should have rained all night - but we never even felt a drop! The way Troy would shout at passersby "this is my fiancé!" both because he was proud of her...and also because he loves to tease his future wife. The Office quotes shared in between pictures (I. Declare. BANKRUPTCY!). And, more than anything, the sweet friendship Troy and Jenna have built during their relationship together that has become so much more. I can't believe we have to wait almost a year to hang out again, but Monday night got me even MORE excited for next April. Troy and Jenna - enjoy your engagement, each other, and of course, The Office! Your wedding day will be here before you know it!